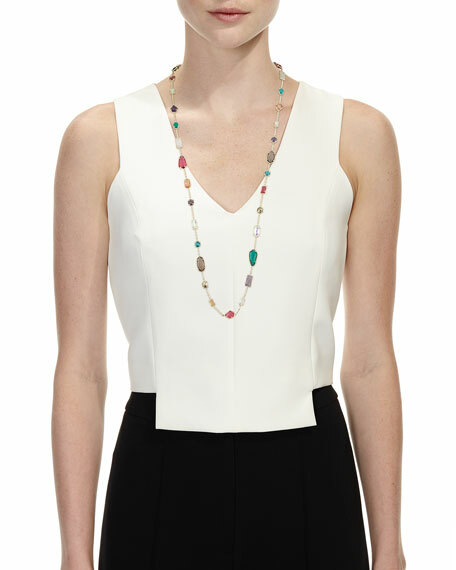 Kendra Scott "Josep" statement necklace. Emerald-colored glass, pyrite, fuchsia glass, clear rock crystal, London blue glass, painted yellow glass, dichroic glass, amethyst-colored glass, and smokey glass crystals. With every purchase Akola reinvests 100% of profits to empower women and families in poverty. Akola multilayer necklace with mixed beads. Polished 14-karat gold plated chain and hardware. Jade, purple tiger's eye, bone and karatasi beads. Adjustable; S-hook clasp. Approx. 20"L. Made in USA. 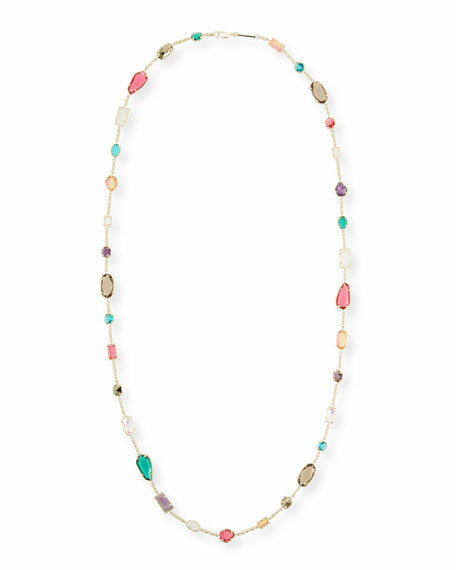 Delectable turquoise stations adorn a yard-long silver chain, in a signature Ippolita mix of artistry and simplicity. From the Rock Candy?? Collection. Sterling silver chain link necklace. Graduated turquoise stations. May be worn doubled. 37"L. Imported. Jose & Maria Barrera long beaded necklace. 24-karat yellow gold plating over brass hardware. Amazonite, carnelian, agate, dyed jade and glass pearls. Fold-over clasp. Made in USA. 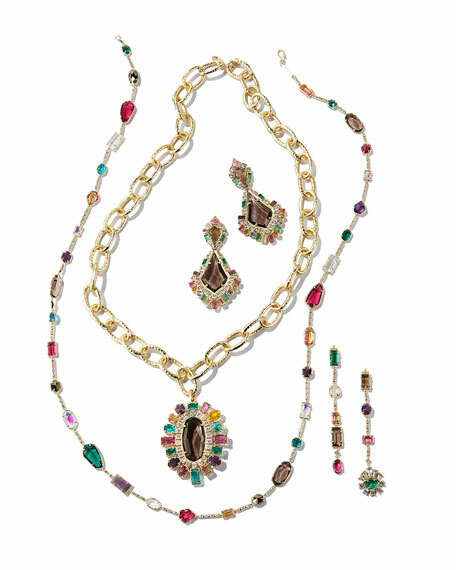 EXCLUSIVELY AT NEIMAN MARCUS Jose & Maria Barrera charm necklace. 24-karat gold-plated brass hardware. Glass, cloisonn?? and mixed beads. Red jasper and dolomite cabochons. Multi-size Austrian crystal accents. Approx. 20"L with 3" extender. Adjustable; fold-over clasp. Made in USA.